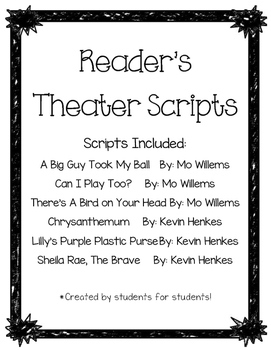 This Readers' Theater Scripts pack includes 6 scripts for three Mo Willem's Elephant & Piggie books and three Kevin Henkes books. 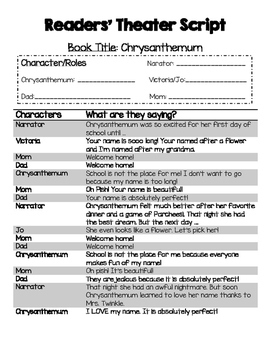 The scripts were written by students for students during a month long character study unit. 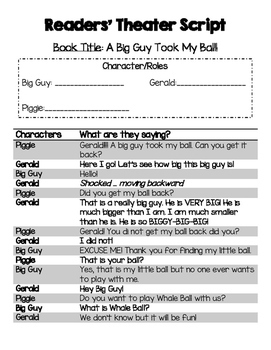 Although the scripts are short, they cover the most important part of the stories and the authors' message. 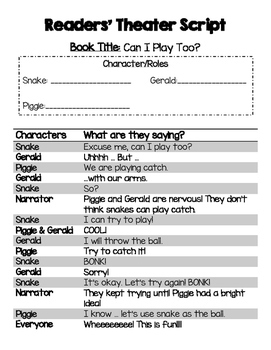 These scripts allow students to act out classic and funny stories that are loved by students everywhere.